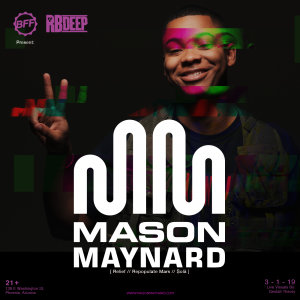 Relentless Beats presented Mason Maynard on Friday, March 1, 2019 at Bar Smith in Phoenix, AZ. This show is 21+. Tickets are no longer available for this event. View the Facebook event with the links above. Join our text list by filling out the form below or texting RB VIP to 545454.